Click the Groups link  at the top of the page. Select the Group you want to manage . 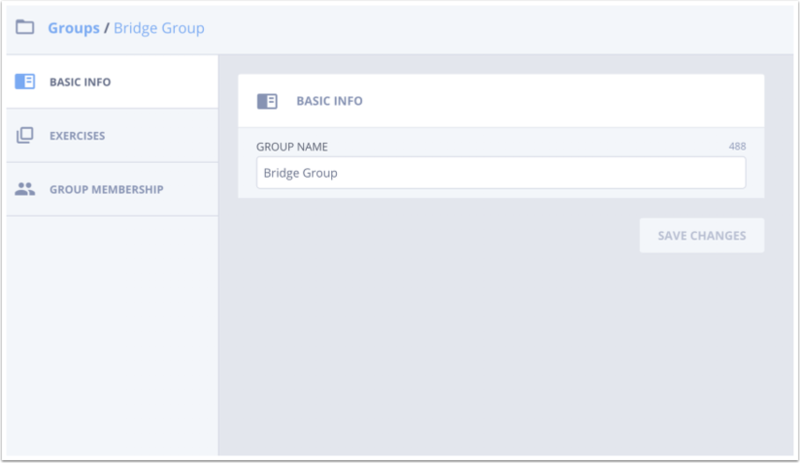 To manage a group on the Groups page, click the settings icon . You can edit , copy , or archive the group . Archived groups display in the Archived section of a user's group list . Groups in draft status cannot be archived. Archived groups cannot be edited. Users cannot participate in exercises that are part of an archived group. Archiving a group does not delete exercise submission data. In the group navigation bar, archived groups are indicated by a Group Archived label . 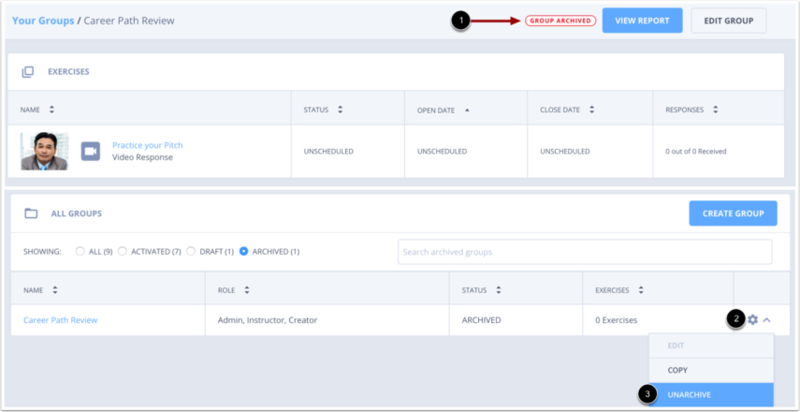 To unarchive a group, return to the main groups page and locate the group. Click the settings icon  and then click the Unarchive link . Click the Edit Group button. Basic Info: Here you can edit the group’s name. Add people within your organization to the group. Invite people who are not in the organization to the group. Learn more about inviting or adding Learners here or inviting or adding Instructors here. Previous Topic:How do I create a new group in Practice? Next Topic:How do I copy a group in Practice? 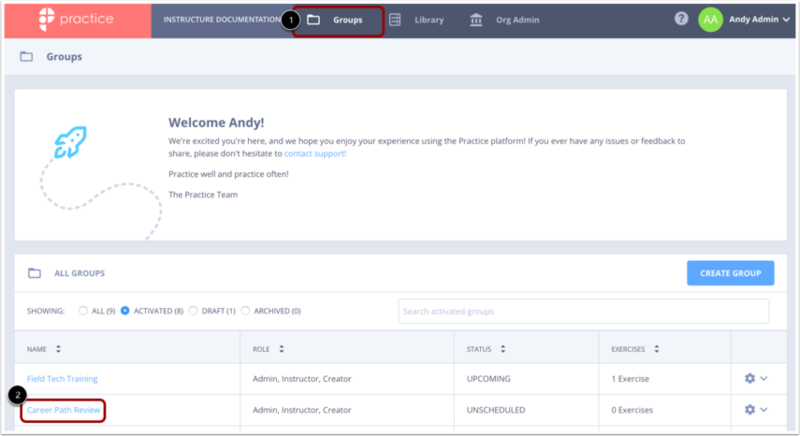 Table of Contents > Groups > How do I manage or archive my group in Practice? How do I create a new group in Practice?